It's a really special occasion! There is just nothing like a baby shower! Here are some great free round baby shower labels for your flavor tins, boxes, candles or any other gift you want to give out at this event. They have designs for It's a girl , It's a boy and It's a Baby. 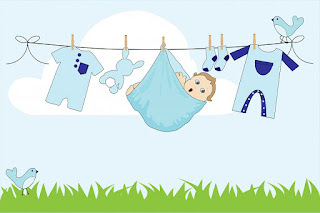 These free baby shower labels are created in fillable PDF templates. However, you can turn off the highlight button, open and edit them in any graphic design program you choose.